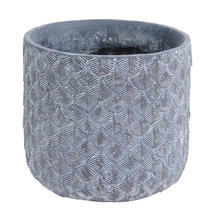 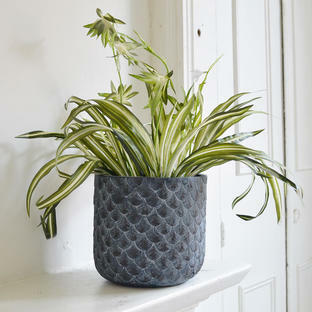 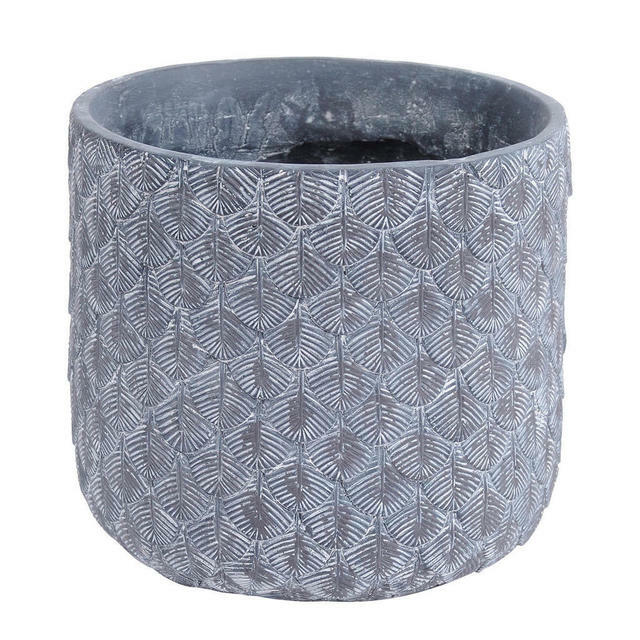 In soft shades of dusty blue grey this planter is an attractive foil for many houseplants. 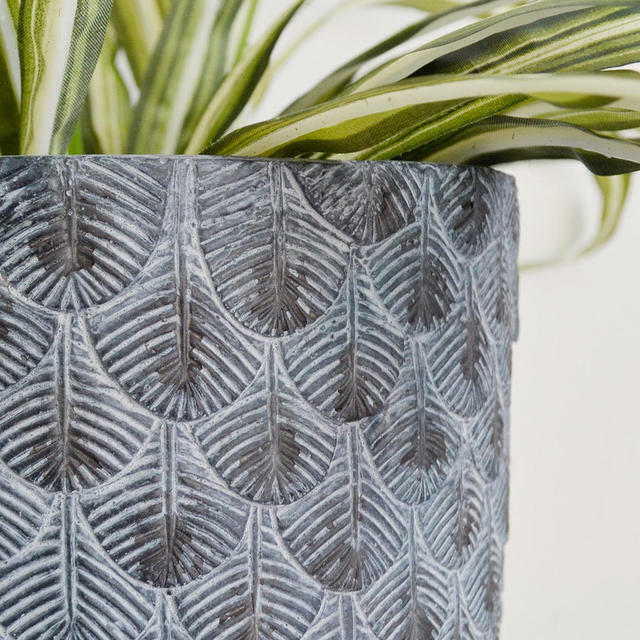 Made from resin with an attractive repeat textured palm leaf design around the pot. 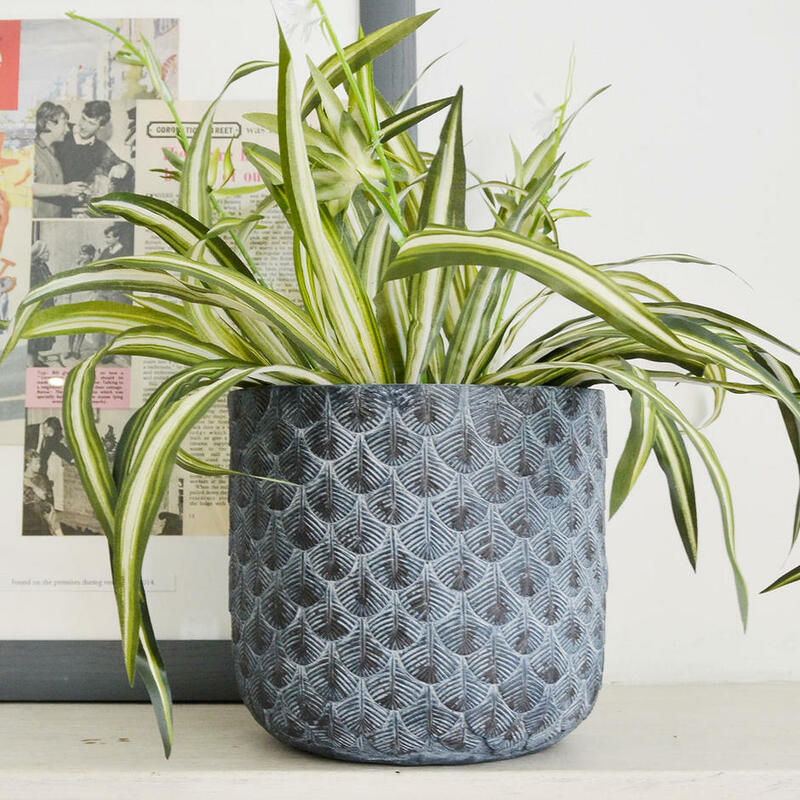 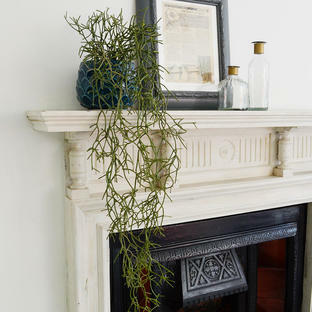 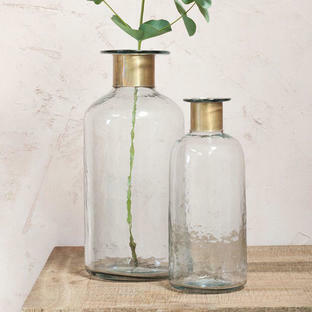 There are no drainage holes, so it is ideal for houseplants. 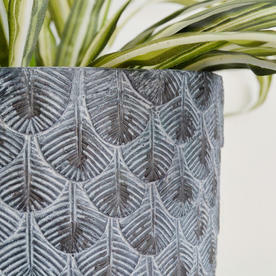 Shown here with our faux spider plant.